It's been almost a year since Microsoft moved its newly acquired Skype for Linux out of beta with the release of version 4.0, surprising more than a few Linux fans with its apparent commitment to maintaining a telephony client for the free and open source operating system. This week, however, that commitment became even harder to dispute given the release of yet another significant update to the software. The new version 4.2 of the proprietary Voice over Internet Protocol (VoIP) client brings a number of tweaks and enhancements, in fact. Here's a rundown of some of the highlights. Skype for Linux 4.2 is designed to make it easier for users to log into the software from a Microsoft account, for example. “There are greater efficiencies, such as not having to re-type your password when entering via 'My Account' if you are already logged-in with the client,” Cimmino explained. Voice messaging, meanwhile, has been made easier to use and can now be accessed in just one click from the options window. Subscription status is now visible via a link from Skype's main window, and conference calls can be initiated from the software's conversations view. 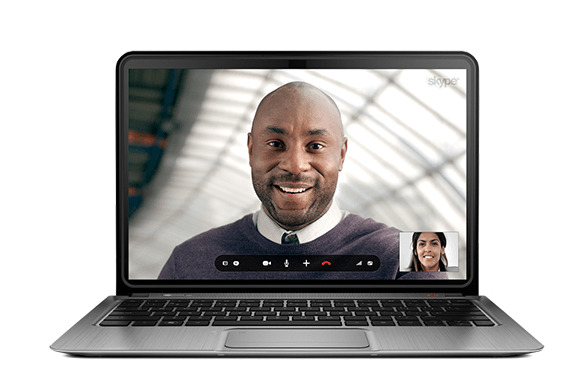 In a multi-monitor setup, launching screen-sharing mode will cause the application to share the screen on the monitor that includes Skype's call window. There are also now more sizes for the Skype icon, not to mention a raft of fixes to bugs that have plagued the software so far. A list of everything that's new can be found in the official announcement. Skype for Linux 4.2 can now be downloaded for free for Linux distributions including Ubuntu, Debian, Fedora, and openSUSE 12.1. An installation guide is available as well, as is an additional plug-in to help users of 64-bit Debian and Ubuntu avoid potential audio and instability issues.